The Highline Canal starts in the foothills and meanders over 60 miles through Denver, creating a treelined hiking and biking thoroughfare in the middle of the city. 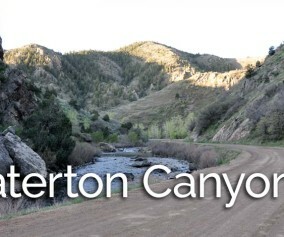 This stretch in Littleton, Colorado takes you past Fly’n B Park. Take the path south and you’ll find yourself in Writer’s Park. 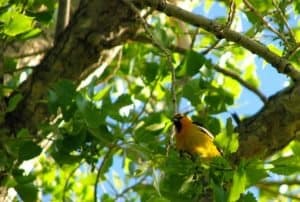 Scroll down for the trail snapshot, and for further details and tips for hiking this great segment of Denver’s High Line Canal. Denver’s Highline Canal was designed as an irrigation stream, but it has become a 66 mile long hiking and biking trail running through the heart of Denver. 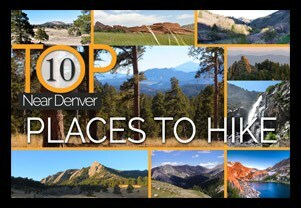 This particular hiking trail section is in the Littleton & Highlands Ranch area. 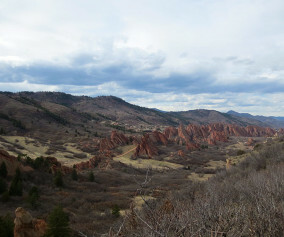 There are two parking lots from which you can start the hike: the Countyline Road Trailhead, or the Fly’n B Park lot. Round Trip, this segment is about 4 miles. From the Countyline Trailhead, cross over the first footbridge and head South (left). You’ll run into an intersection about 200 yards up. Take a right to continue following the Highline. Water flows in the highland canal about 90 days a year. Because the canal only drops two feet per mile, the water, even when it is flowing fast, appears calm. This is part of what gives this trail such a pastoral feel, even though it is close to 470. Immense Cottonwood trees arch over the path, and all sorts of birds decorate the bushes and wetlands that have grown up wild along its edges. 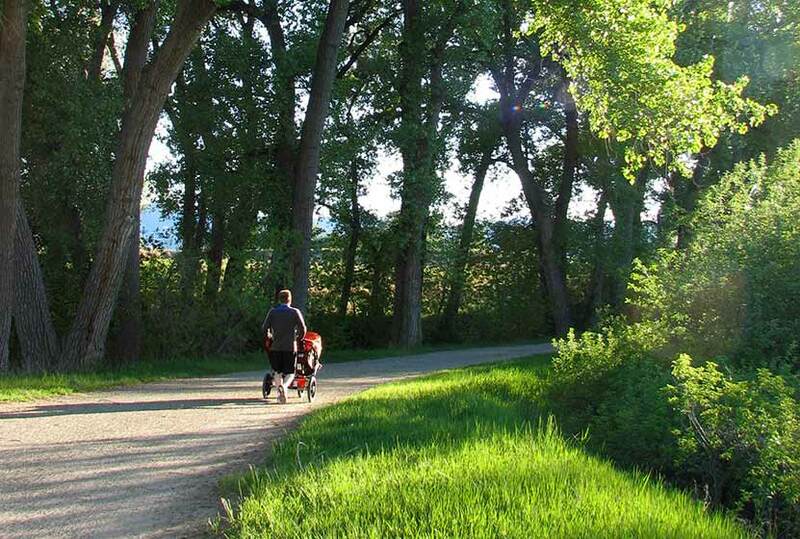 The trail is great for a stroller hike and for wheelchairs. After about 2 miles of trail, you’ll walk through a tunnel that goes under 470. You’ll then emerge to find yourself at Fly’n B Park. 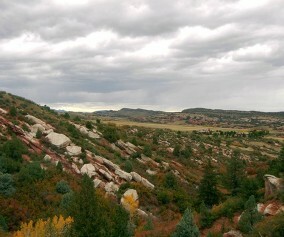 It looks like it is an old ranch that has been converted into a great park near Highlands Ranch. It features a small pond with boat dock, and a fantastic shelter house. The pond looks like a perfect place to take kids fishing in Denver. We haven’t tried it out yet, so we would love your feedback if you have. The Highlands Ranch Metro District Parks is currently (Spring 2014) renovating the home on the property. Outdoor restrooms and some parking is available. 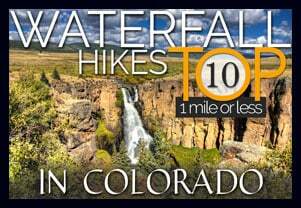 However, we recommend parking at the Countyline Road Trailhead for this hike. 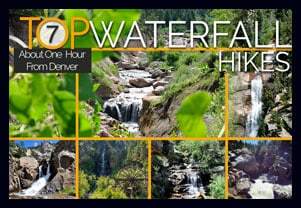 TIP: A detailed guide to of the Highline Canal Trail can be ordered from Denver Water. TIP: Take some snacks and extra water. The Highline continues well beyond this section and you’re likely to want to explore more of it. 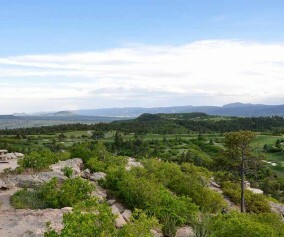 TIP: From the Countyline Trailhead, you can also go North towards for views of McLellan Reservoir and the Front Range. The Fly’n B pond is great for young anglers. The fish, while not big, are pretty active. Bring small hooks, worms and bread. These fish are used to feeding on the scraps that the field trip kids like to throw in the water. It was a great place to take my 6 & 4 year old who don’t have much patience while waiting for the fish to bite. It also has plenty of “exploring” area to help burn some energy off. We fished here multiple times last summer and each kid averaged about 5 fish each time.